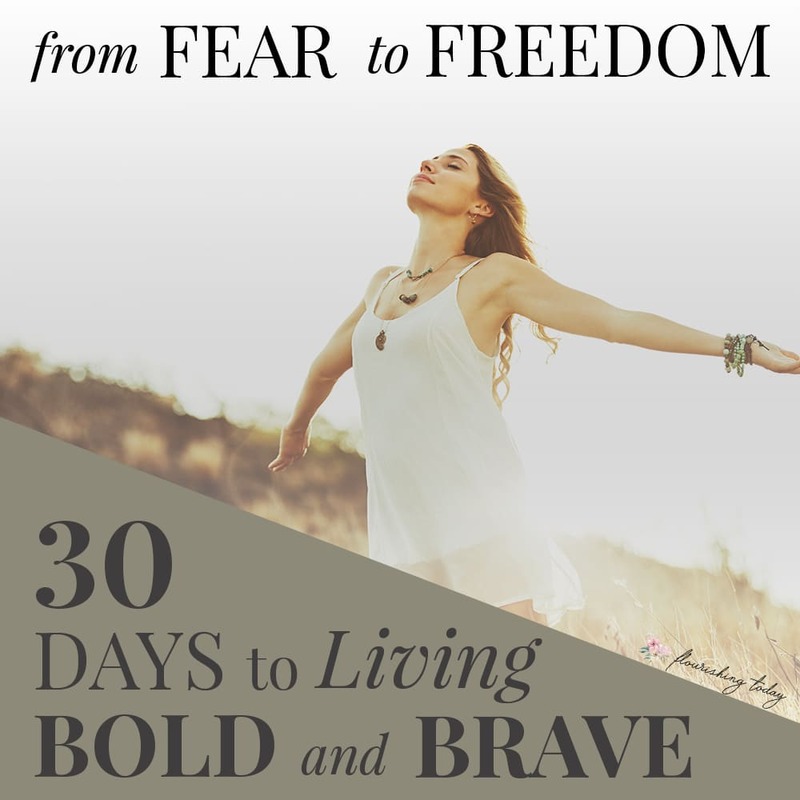 Do you want to live a BOLDER, BRAVER life this year? As I thought about the things God’s placed in my heart, I realized there will take some boldness on my part….some stepping out of my comfort zone and being brave as God draws me out in utter dependence on Him. Maybe your facing some things that are requiring a HUGE dose of FAITH. Perhaps BRAVE and BOLD are words that make you shutter, because you feel the complete opposite of those things. There are so many things that I’ve dreamed of doing, but FEAR has consistently held me back. I believed lies and gave into intimidation, shrinking back from the very things God has purposed for me. But we have a choice. We don’t have to live cowardly, defeated lives. We can choose to BELIEVE God’s Word, claim the VICTORY Jesus died to give us and WALK in the FREEDOM that’s available to us. You’re invited to join the Fear to Freedom Blog Tour! 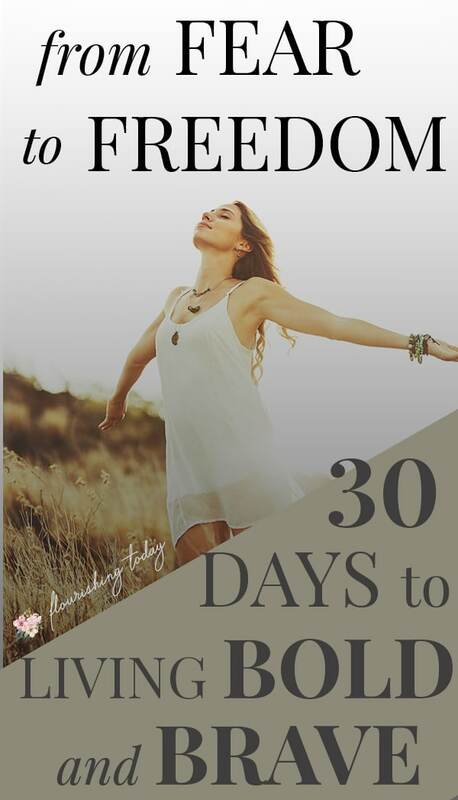 Over the next 30 days I’ve invited a group of bloggers who have struggled with anxiety, fear, worry and doubt to share their message of overcoming. They will be offering practical tips, personal testimonies and free resources to help you overcome as well. If you’re ready to live BRAVE and BOLD, but aren’t sure how to start–these posts and resources can be your guide. Each day over the next 30 days a different writer will share encouraging and practical tips of how they’ve overcome and are overcoming fear. They’ll include resources, scriptures and biblical truths to guide you towards healing and victory. Below you’ll find the posts with the link to the reading and resources for each day. 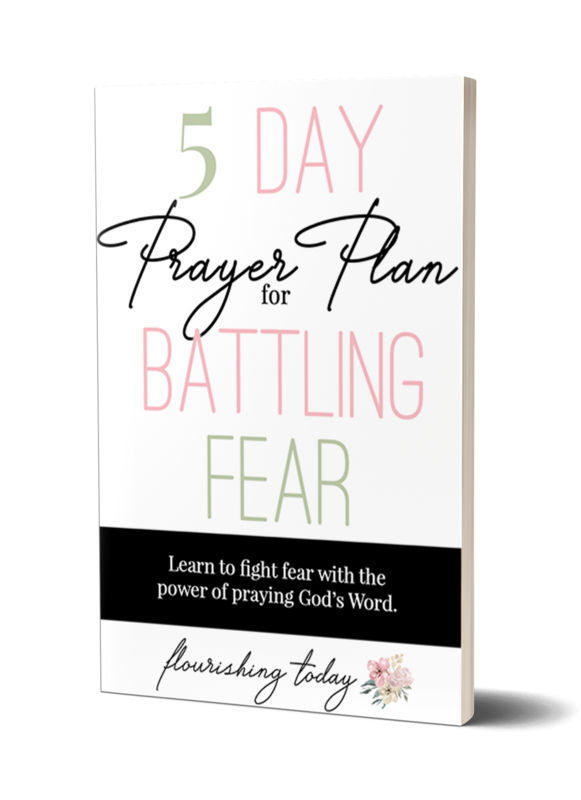 FREE 5 Day Prayer Plan for Battling Fear! Want to share this blog tour with your friends? Feel free to share these graphics on social media, through email or text! Below you’ll find the schedule of posts for each day. The first post is scheduled to go live on April 1st, and the subsequents posts will go live each day following. We pray that the words and resources offered in this tour would draw you closer to God and help you to live a BOLDER, BRAVER life.